I don’t know about you, but the smell of freshly baked bread is an indulgence of the highest order (next to eating said bread of course!). The making of a good loaf of bread requires a lot of practice, experience and understanding of the process of bread-making. When done right, you get a delightfully fluffy loaf that has just the right amount of chew to it with a beautiful golden crust all around. 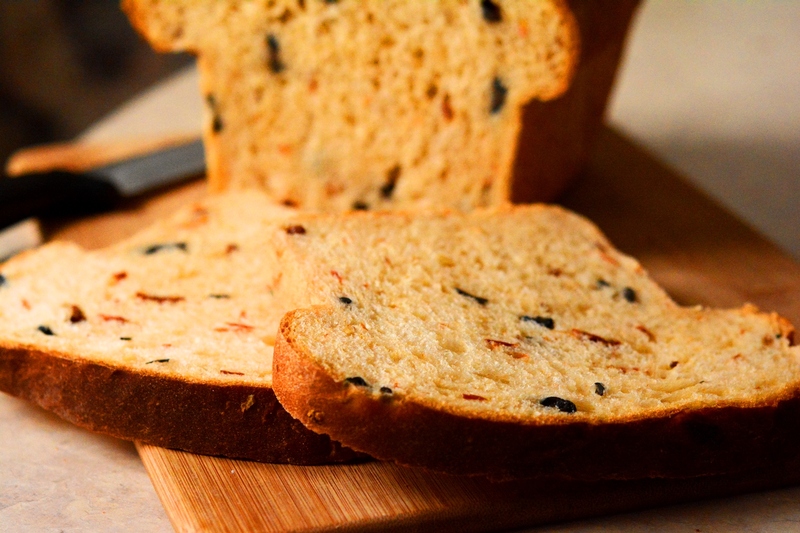 This Mediterranean-themed flavour combination of sun-dried tomato with olives gives the bread a beautifully strong yet complementary flavour profile that makes it a specialty item in any kitchen. This type of bread would do very well in making savoury sandwiches, accompaniments for soups or my personal favourite, with a little bit of balsamic vinegar and extra virgin olive oil. 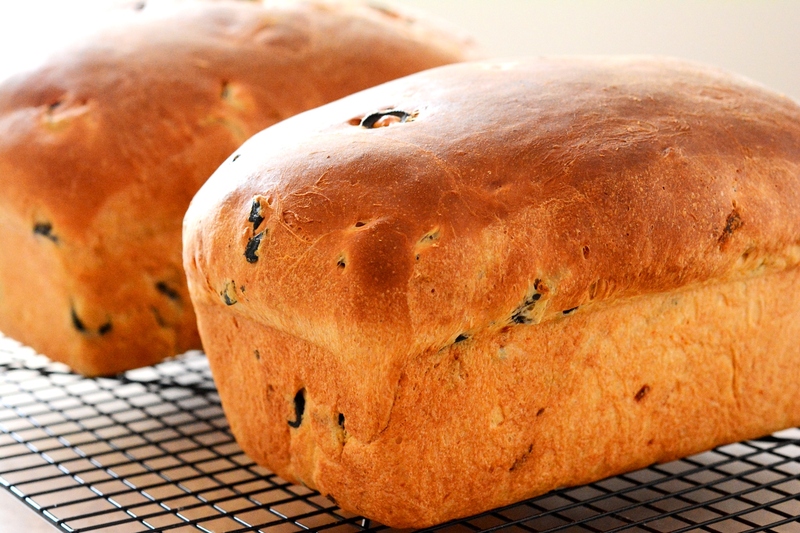 Now this is a recipe that might be difficult to master in your first go, mostly because of the different techniques that you’ll have to use to make the bread. I’ll provide a useful link at every part of the instruction that requires skills that I cannot show via a photo. I’m thinking, its time that I start a YouTube channel. In you stand mixer bowl, put 2 1/2 cups of all-purpose flour, with your salt, sugar and yeast and mix well. Pour the water mixture into the flour well and mix with the paddle mixer for 6 minutes (from low speed in the beginning then to medium), until the gluten starts forming. Take the paddle mixer off, scrape off the excess that is stuck on the paddle. Put 1 cup of all-purpose flour in the mix and now attach the hook mixer. 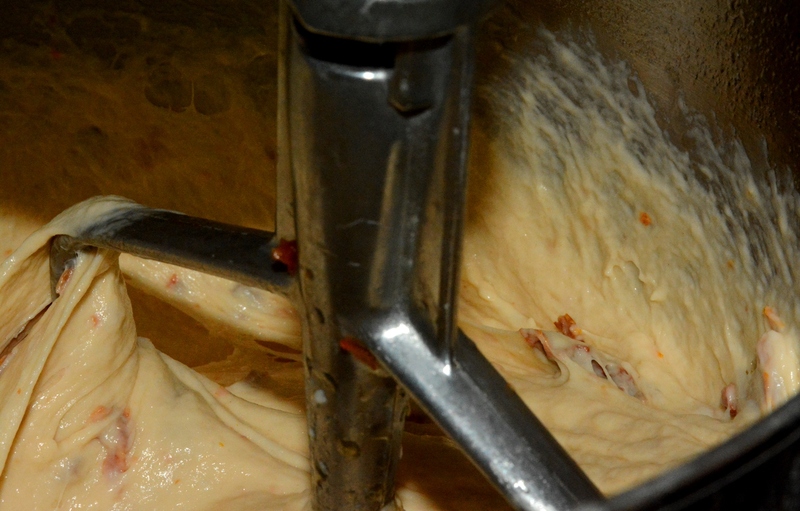 Add 1/4 cup of flour with the mixer at low speed until the flour is well incorporated. Repeat step 8 & 9 until the dough ball clings on the hook mixer in a ball like shape and cleans off the sides of the bowl. Punch out the air trapped in the dough and take it out onto a well-floured surface. 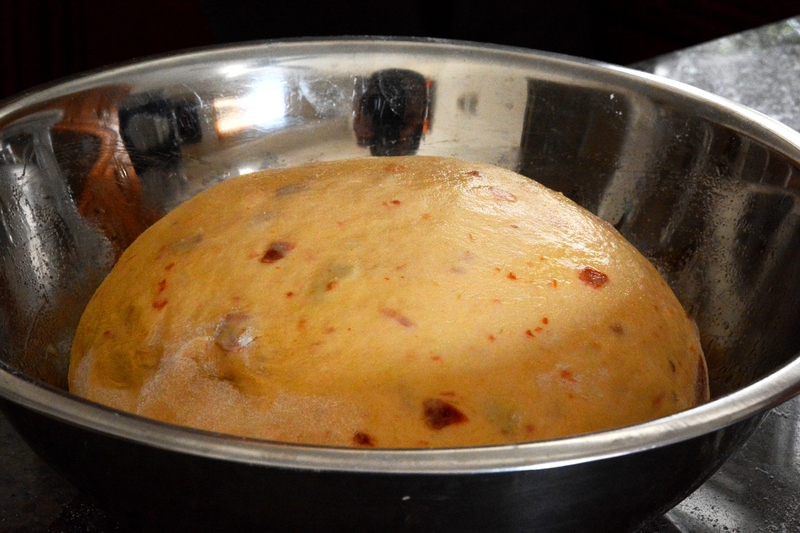 Roll out the dough to a half-inch thickness and spread the olives evenly. Take an edge of the dough and roll it up as you would a roulade and then form the dough into a ball. Preheat the oven to 380 degrees Fahrenheit and bake for about 30-35 minutes until the bread loaf is golden brown and it sounds hollow when you tap it.